What Time Is It Eccles? They do not make records like this anymore, but on the other hand they didn't really make records like this in 1978 either. The instruments used include different varieties of concertinas and melodeons, fiddle, tenor banjo, mouth organ, piano, hammered dulcimer and drums. The bass parts are played on the tuba. 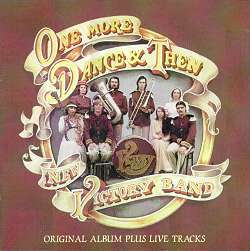 the CD release, it has been extended with five live tracks from concerts in Belgium in 1980.